Perfection is my Goal. Excellence is my Trademark. Using reclaimed materials we design unique furniture, planters, and architectural elements for you! 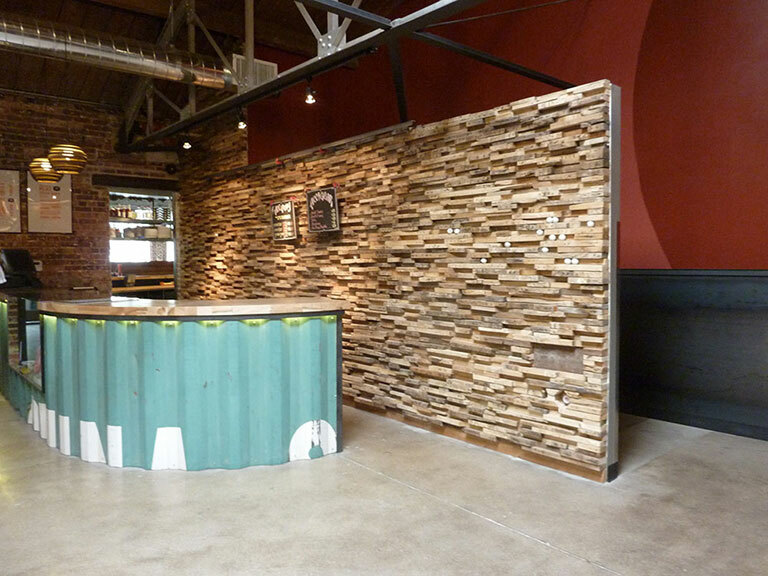 With more than 35 years of experience in the remodeling business Custom by Rushton specialized in intriguing design and fabrication with repurposed and reclaimed materials. We create to achieve outstanding results and offer excellent craftsmanship. Our weathered rustic planters for instance aren’t just a place to plant flowers – when chosen wisely with an eye to quality and style, they’re an essential aspect of any exterior or interior design. Our design delivers high-impact style to lobbies and patios, our reclaimed planters add charm to decks and living areas. No matter which of our products you choose, our focus on quality makes your purchase a smart investment that will last for years to come. We offer national and international shipping! We will build custom planters to your specifications out of reclaimed materials. 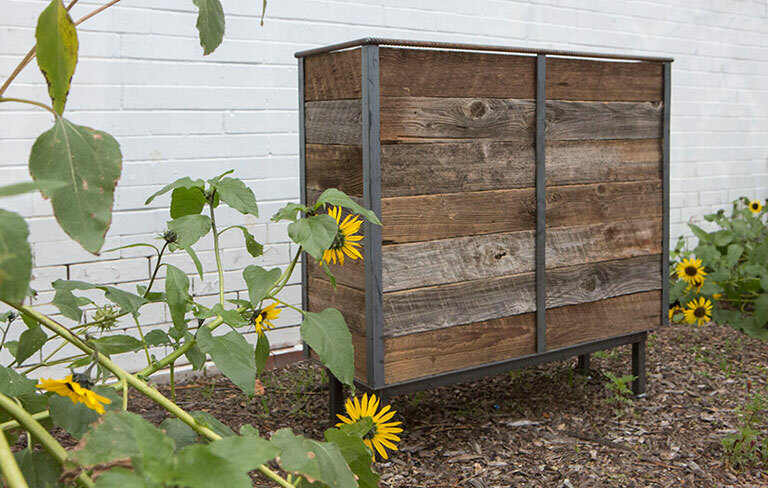 Our planters are made out of various combinations of steel and 100% reclaimed old growth cedar. You can grow vegetables, flowers or herbs in a sustainable and water wise way. See photos and information about our planters. The intrinsic beauty of this wood has inspired Randy Rushton to reclaim more of his own artistic nature and create pieces that inspire deeper investigation into nature, ourselves and the relation between. During the last years Custom by Rushton created a furniture line entirely made out of ancient split cedar fencing. 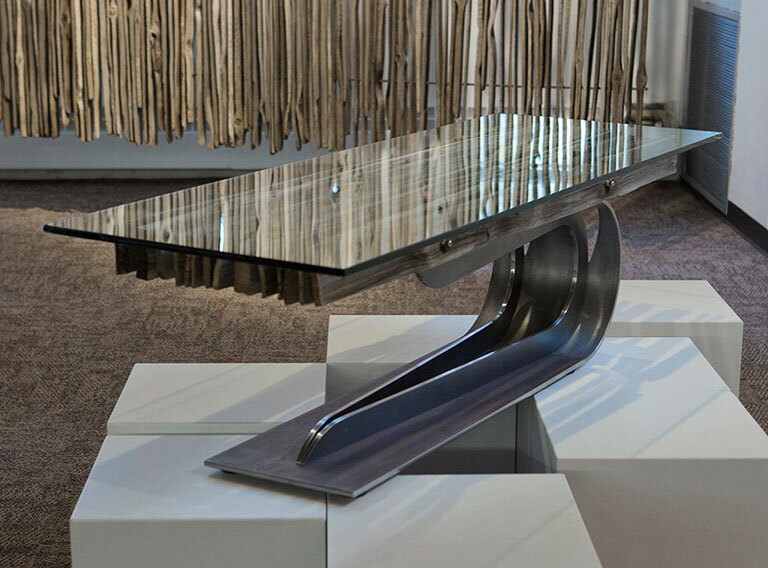 His space dividers and console tables amongst other furniture pieces carry the mysticism of ancient cedar and the eros of nature into any space.Take a look at our furnishings. Modern design and excellent craftsmanship combined with ecological thinking will make your environment even more special. Get uplifted and view our intriguing commercial projects.